I used Bazzill cardstock, handcrafted Japanese paper and origami paper from the Japanese Paper Store (The star is teabag folding), U.S. Art Quest Mica Paints (Metallic palette), unknown ribbon, button, and mini stars. Thanks for the opportunity to join in the fun! Please leave comments for Carol on this post. WOW Carol, that is gorgeous!!! I LOVE that star - it steals the show!!! THANKS for joining us! wow..Gorgeous!!! 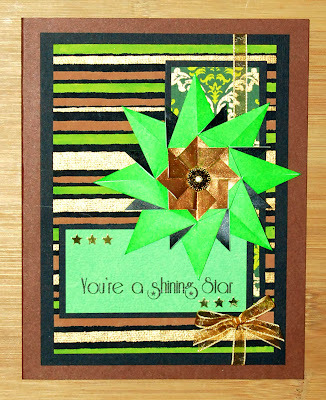 I just love this card and you carol.. Those colors are looking great..I love the background stripes and the lovely star. Thanks fro this great post. Wow, this is a gorgeous card. Love the paper folding technique used to create the star! 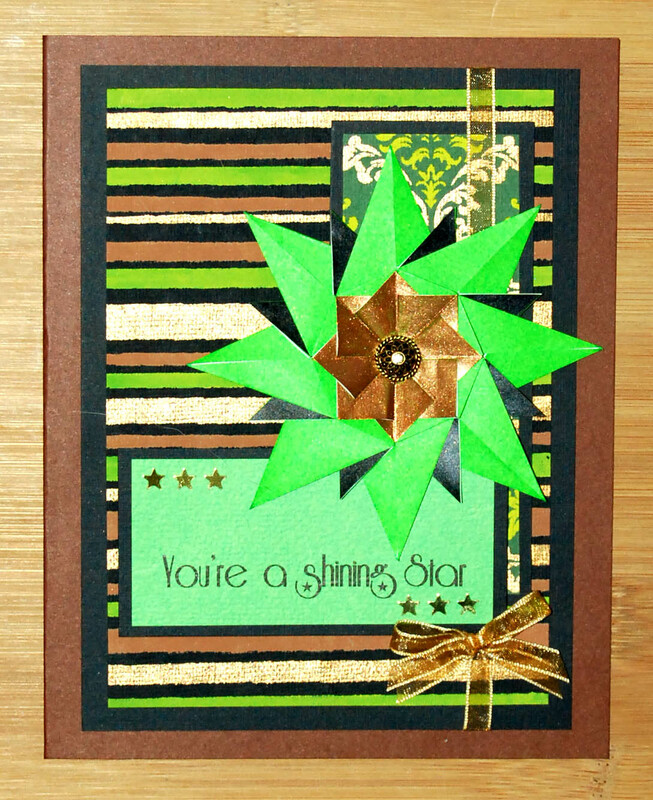 Thanks for joining us on the Simon Says Stamp challenge blog. Simon Says - STARS & STRIPES!! Simon Says - Look What The Stork Brought !